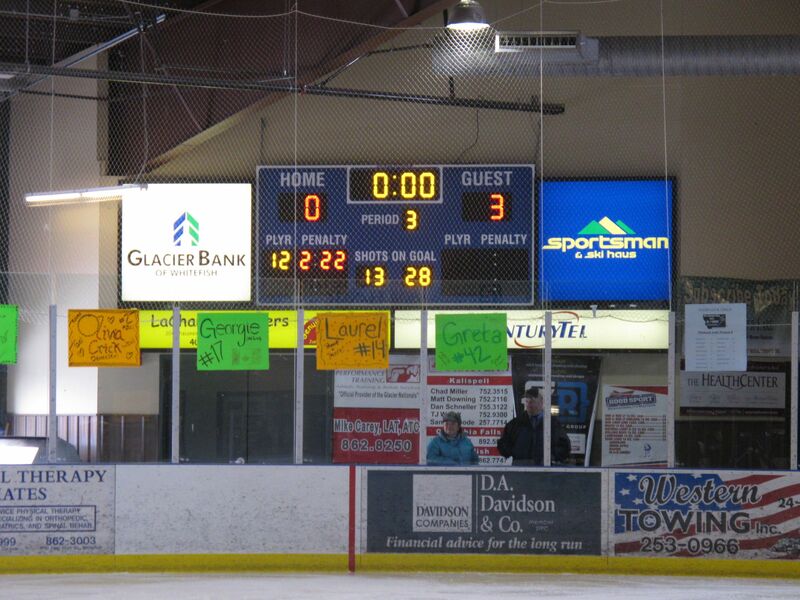 The stated motivation of our trip to Whitefish was to finish the Salmon Lady Rapids’ hockey season with a win at the Montana State Girls 19 & Under Tournament. 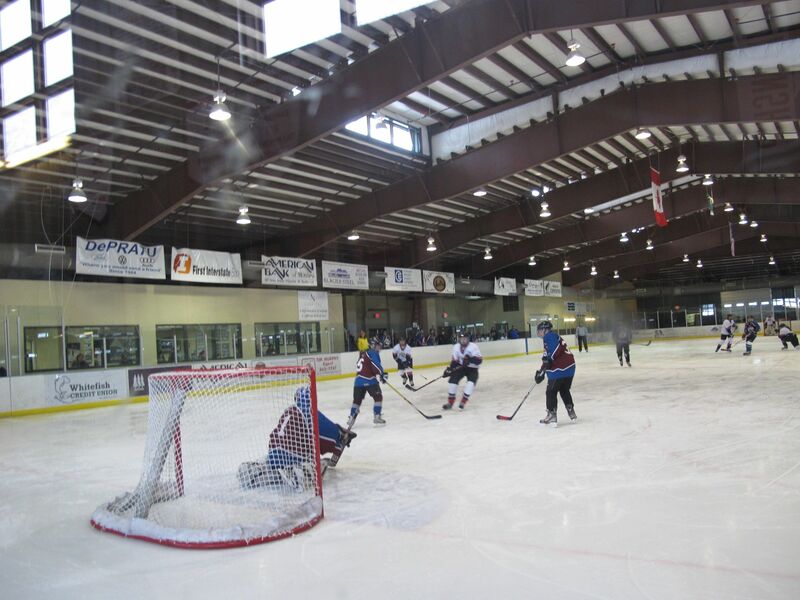 While Idaho has an innovative semiconductor industry, Montana has a much more developed girls’ hockey program. They actually have enough teams to divide into an A and B category — A indicating that nearly all the girls on the team can tie their own skates, and B denoting that to supplement your team you may have picked up players from last night’s roller derby event. Tourney organizers classified us as Type B, slating the Salmon Lady Rapids against Whitefish, a Helena/Bozeman combined team, and a group of 1st graders from Kalispell. The Whitefish team is fortunate enough to sport the Craven sisters, whose dad was an NHL player (read this if you think I’m lying) and are both being actively recruited by the Philadelphia Flyers. B League hockey is probably not their only future. Under any circumstances, the Salmon Lady Rapids showed up against Whitefish Sunday morning with a vengeance. 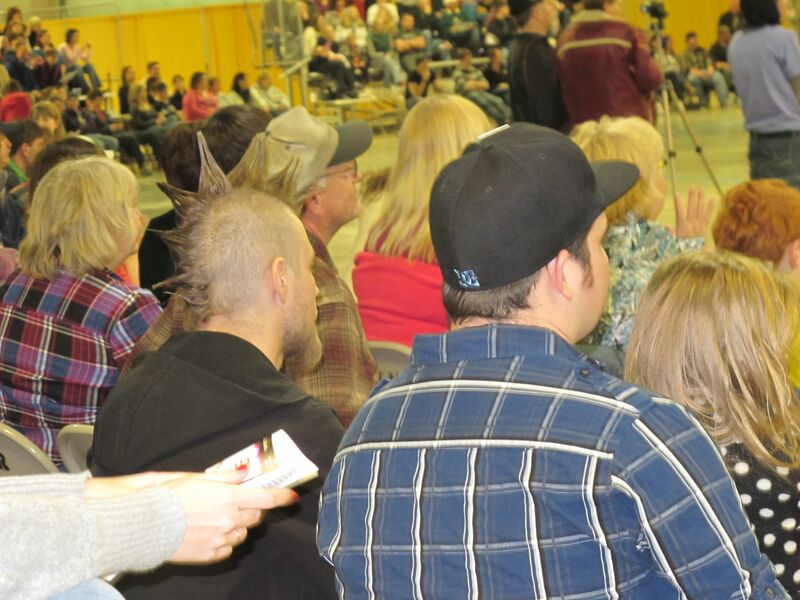 It was fun to watch our kid, Her Royal Highness, come out and skate like her hair was on fire. a good solid B win, and great merriment. Next, with the Flathead Valley firmly conquered, the Iron Chef and I offloaded the children to another unsuspecting Salmon minivan driver, and hightailed it to the Bitterroot Brewery invite-only Beer Dinner in Hamilton. This was turning out to be the best hockey trip ever! There’s plenty to like about Whitefish, Montana, even if you are dedicated to watching the Montana State Girls Hockey Tournament and not to going skiing at Big Mountain, snowshoeing or nordic skiing. For instance, there’s the Pin & Cue Bowling Alley where for $15 your kids can bowl and eat as much pizza as they want in 2 hours while you pretend you are going to the car to check on something and then you go to the Great Northern Brewing Company. The building is gorgeous and the 2nd floor draught house has an incredible view, not to mention good eats and a divine elixir known as Good Medicine. Skiiers hadn’t finished their business yet at Big Mountain, so the place was mellow as can be — a stark contrast to later in the evening when Iron Chef and I returned, perhaps to buy a T-shirt, perhaps to sip a pint, and we were greeted by red carpet literally rolling out when we opened the door. She helped me understand. “Private party,” she said, pointing to the sign next to me that said PRIVATE PARTY. Gee thanks. Say what? 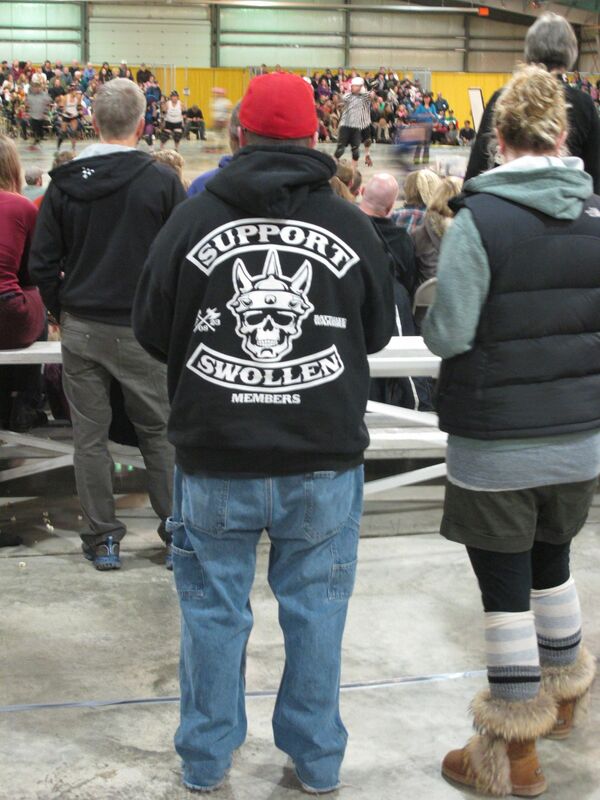 That’s right, because we live right, we just happened to be in the Flathead Valley when the local flat track roller derby team — the Big Mountain Misfits — were tangling with the Hel’z Belles crew from Helena at the local fairgrounds. We arrived about 15 minutes early just in time to get the worst parking spot at the fairgrounds. The big metal shed was rockin. 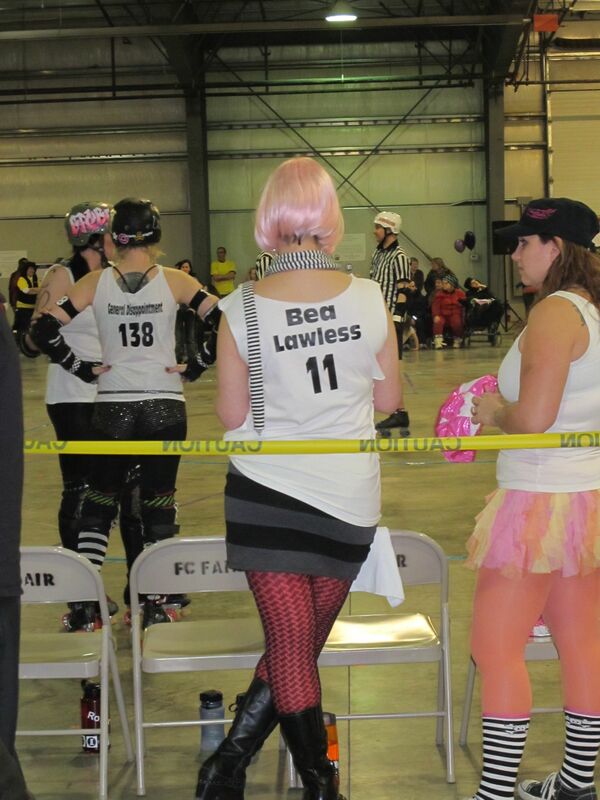 Other than, it never occurred to me to show up with a cool roller derby name and corresponding sleeveless shirt. As a patriot, I couldn’t help but favor Babe Lincoln; Skaty Perry had the Salmon Lady Rapids vote; Iron Chef seemed to have his eye on Screwella. 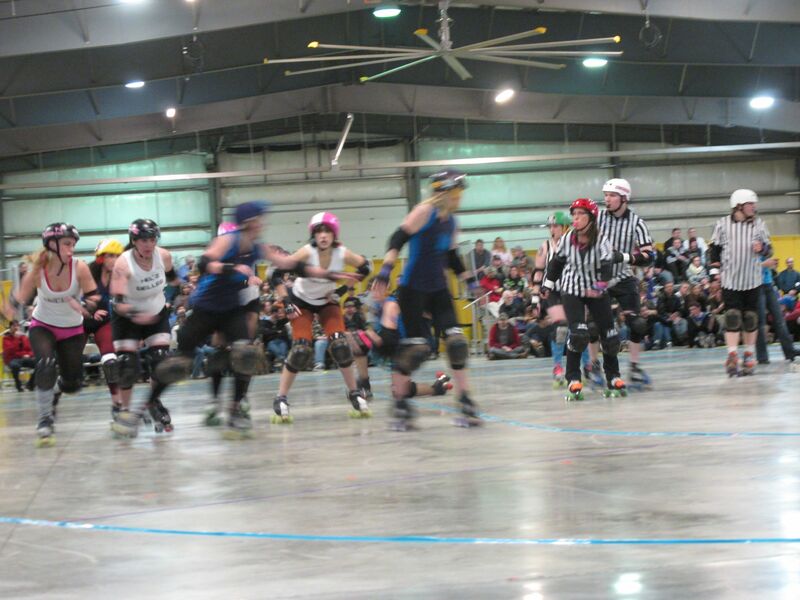 Now after watching 3 games of Montana State Tournament hockey played by frenzied 13-17 year-old females with attitude, I have to admit that the pace and physicality of flat track roller derby were a tad underwhelming. But the spectacle of it all left nothing to be desired. Now if we could just get them to serve Good Medicine….